Rod Lyon recently argued  that an interesting feature of geostrategic competition in Asia is the search for ‘game-changers’ in military technology. Regional governments’ search for such ‘force-multiplier-level enhancements’ is one source of the present moment’s strategic uncertainty. Another is the uncertainty surrounding the strategic trajectory of a number of pivotal actors in the Asia-Pacific. A major part of that story relates to China: what kind of place in the sun would the Chinese leadership be happy with? But there’s plenty of uncertainty to go around, and it’s often fuelled by domestic political forces. Throughout its history, the United States has shown considerable capacity to alter its international persona. Beginning as 13 unassuming colonies, it marched across the American continent and out into the Western Pacific, overturning the pre-Columbian and European political orders. Then, quite abruptly, it altered course and settled into a pattern of shrewd selective engagement with the international system (sometimes mistakenly called isolationism). Upon being dragged into WWII, the US again changed orientations, becoming the global architect of Western security arrangements and the designer of Bretton Woods—becoming, essentially, a manager of world affairs and dispenser of public goods. Part of the present uncertainty about America’s future path lies in the fact that America is a democracy, and in a democracy voters eventually get what they want. Americans currently want government services and greater attention on the social problems accruing at home, which in the medium term will impact on the government’s ability to ramp up defence spending. While the American sense of ‘mission’ will likely endure, and would be reawakened by future Pearl Harbours, a new generation of Americans will have to redefine the meaning of American exceptionalism  based not just on shifting global power relativities, but on the growing domestic challenges confronting America. Conscious of the need to husband resources, President Obama has begun carving out a ‘post-imperial foreign policy ’, even at the risk of feeding uncertainty about America’s willingness to honour traditional commitments and ultimately, its larger strategic trajectory. Japanese history exhibits a similar capacity for reinvention. Before Matthew Perry’s Black Ships sailed into Edo Bay, a fearful Japan had closed itself off from the world. Then, turning on a dime, Japan initiated a remarkable process of Westernisation before emerging to abolish the European imperial order in Asia, all the while embodying the worst excesses of nineteenth-century European nationalism. That path ended in Hiroshima and Nagasaki. Then under occupation, Japan again reinvented itself, this time as a pacifist maritime trading power. 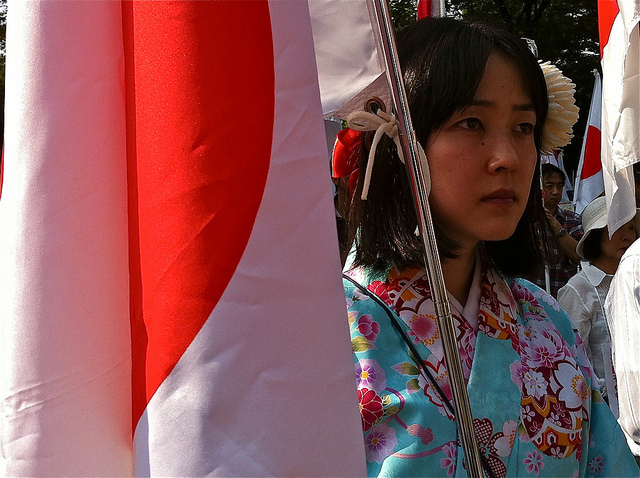 Japan’s international persona is bound up in how the country chooses to remember that history. It’s normal for a country to honour its war dead. When asked at Davos whether he thought that those buried at the Yasukuni war shrine were heroes, Abe responded , ‘There are no heroes there, just the souls of those who perished in wars.’ Yet Abe’s mission to make Japan a ‘normal’ country by shedding post-war pacifism involves altering the texture of Japanese nationalism. Nationalist figures already play a role in shaping the country’s international image  and political agenda . Whether or not that new wave of Japanese nationalism will overcome domestic opposition and alter the interpretation of Japan’s pacifist constitution is one of the key uncertainties of the present moment. In one way or another Indonesia will become a consequential actor in the twenty-first century. While Indonesia’s short history doesn’t exhibit wild lurches between introversion and extroversion, its changes in geopolitical persona have been equally dramatic. During the Sukarno era, Indonesia was an order-spoiler, engaging in quixotic attacks on Old Established Forces on behalf of New Emerging Forces. Then under Suharto, ‘New Order’ Indonesia reconciled itself to the status quo in Asia, attempting only to shape it at the margins through patient and methodical diplomacy. Indonesia’s not about to slip back to being an order-spoiler in Asia. But its future role still needs better definition. It’s not clear how the changes afoot in Asia, chiefly China’s rise, might shape Indonesia’s external orientation. Whereas a country such as New Zealand is distant enough to accommodate a growing China’s ‘core interests’ at little cost, littoral countries—like the Philippines—are afforded no such luxury. Indonesia occupies a grey zone where it’s unclear how China’s rise affects its material interests. That ambiguity is on display in Indonesia’s schizophrenic response  to the Natuna Islands dispute . In such circumstances Indonesia’s domestic political context has a greater capacity to shape Indonesia’s external orientation. Domestic factors, such as those flowing from opposition to American military actions in the Middle East, or from economic dependence on China, might prove decisive in shaping Indonesia’s responses to the changing Asian strategic order. The unique cultural dramas that play out within nations often determine outcomes in the international system. Rather than the mechanistic world of material realities and rational imperatives, international relations are frequently about the intangibles of human communities. That’s a lesson to keep in mind as Australia tries to shape the international environment to its advantage. Daniel Grant is an intern at ASPI. Image courtesy of Flickr user Al Jazeera English .